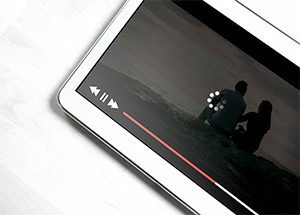 A recent study from Bitmovin (2018 Video Developer Survey) shows that consumers are most concerned about latency, or broadcast delay, and device playback when streaming videos online. Of the 456 survey submissions, 55% of respondents said latency is the biggest problem with streaming video. 50% of respondents said that achieving playback is another big issue. The survey also includes data on digital rights management (DRM) usage, showing that only 36% of developers aren’t using any form of DRM. Vendors are pushing for latency solutions, especially when it comes to large-scale livestreaming events. 92% of developers are using H.264/AVC, making it globally dominant. H.265/HEVC is also growing, accounting for 28% of survey results in 2017. Apple HLS and MPEG-DASH are the most common streaming formats this year. 42% of survey respondents use Chromecast, making it the most popular global TV-connected streaming device. Apple TV falls short at 36%, with Android TV and Roku falling behind that.